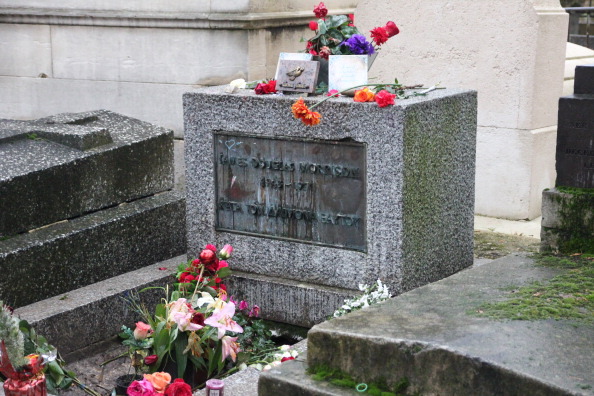 Jim Morrison’s July 3, 1971 death in the Paris apartment he shared with girlfriend Pamela Courson came as a shock to his fans and friends around the world; after all, he was only 27 and despite the controversy that had plagued him as of late, Jim was young, handsome, and an icon – how could he be gone? Further adding to the heartbreak of his too early passing, Morrison’s family wasn’t notified of his death until after he’d already been buried in the Pere Lachaise cemetery – without an autopsy, and without his family there to say “goodbye” and “I love you” one last time. No one really knows what happened to Jim. The official story is that after spending the day prior to his death with Courson and friends, Morrison returned to his apartment at around 1am and began drinking, doing heroin with Courson before a coughing fit sent him to the bathroom to run a hot bath, becoming ill and vomiting blood. He called to Courson and once the vomiting passed decided he felt well enough to stay in the bath, sending his girlfriend back to bed; she awoke later to the horrible realization that Jim, not beside her in bed, is still in the bathtub and upon entering finds him either dead or dying. 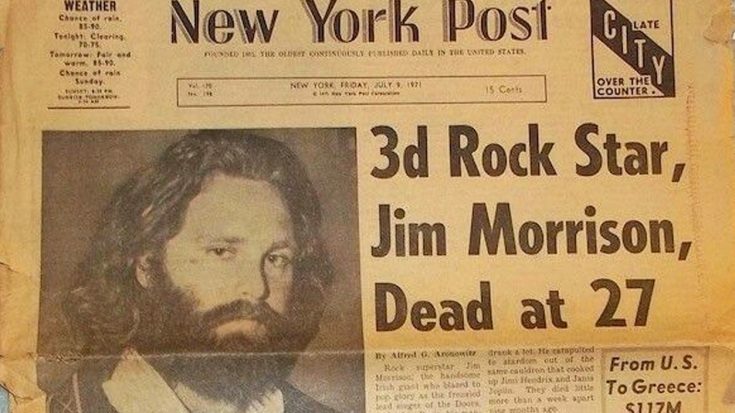 Widely accepted until 2007, French born former New York Times journalist Sam Bernett offered up a second version of events that found Jim Morrison in a bathroom stall at Rock’n’Roll Circus, dead from a heroin overdose before being whisked away to his apartment via a back door by two men who put him in a bathtub to try and revive him before ultimately calling paramedics, who pronounced Morrison dead almost immediately. He was buried four days later, and just like that: The Lizard King, Mr. Mojo Risin’, was gone. After 47 years, there isn’t a rock figure alive who has captivated the world the way Jim Morrison did during the course of his short life, and on the anniversary of the day the world became a whole lot less colorful, we wouldn’t have it any other way.